We have served Calhoun County and adjacent areas for 31 years. The company was purchased by Ronald and Judy James in 1978. 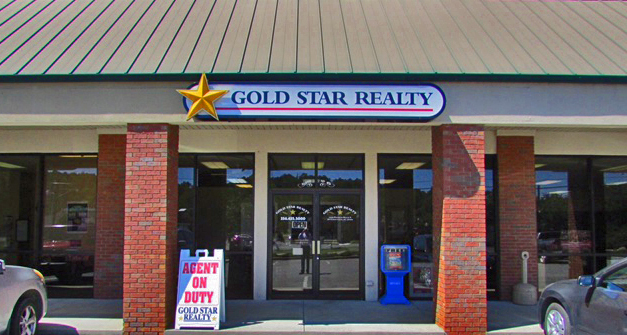 Gold Star Realty is more than capable of serving a Tri-county area with the highest standards in the real estate field. Our agents are high caliber professionals with diverse backgrounds with several agents having received specialized training in multiple areas of education. They are all committed to the Business of Real Estate. Our office is fully equipped with an integrated network of computer and communication systems. We have instant access to all Multiple Listing Services and Public Record Searches. We have available every tool and service that our agents need in order to better serve you. We have full time office staff to accommodate all your needs. They help coordinate meetings, set schedules, and answer your calls when your agent is not available. They also act as personal couriers to ensure the timely processing and delivery of all your documents.